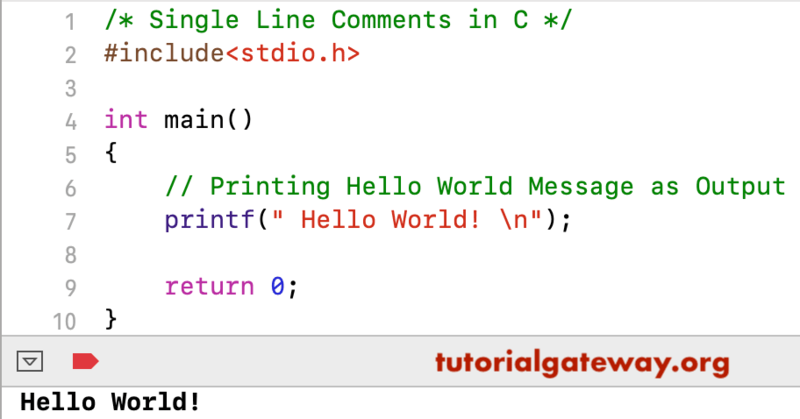 Comments in C Programming Language is used to provide an information about the code. This can helps the other programmers to understand the program flow. 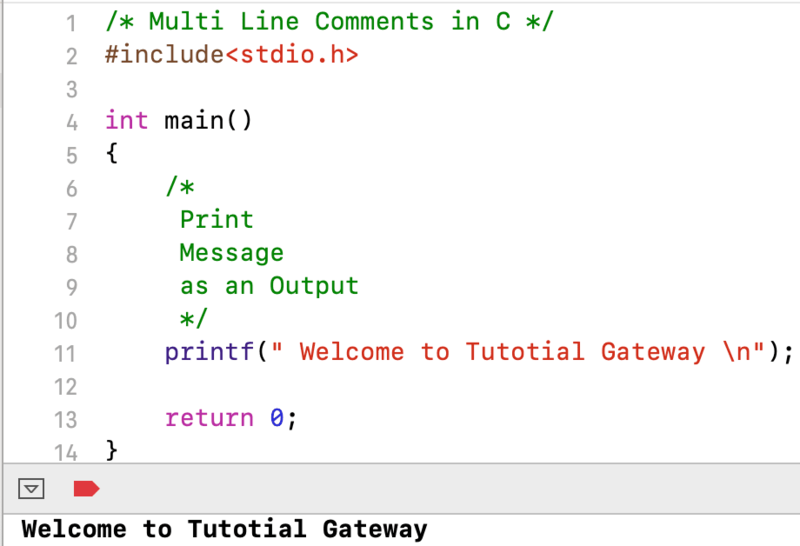 In C Programming Language there are two types of commenting options, and they are Single Line and Multi-line. The Single Line comments start with two forward slashes(//). The Multi-Line Comments are placed in between /*……… */. Use this Slash and asterisk to write a multi-line comment.